If you’re interested in knowing the paramedic salary in Arkansas, then you’re probably someone who, while certainly dedicated to helping others, is wondering whether or not the job of a paramedic can pay the bills. And while you won’t get rich by becoming a paramedic, it’s certainly a job in which you can not only support your family, but also use your paramedic education and license as a jumping off point to advance yourself further in the medical field. If you have recently been asking yourself “how much do paramedics make in Arkansas,” well, the answer is both simple and a bit complex. First, paramedic salary in Arkansas varies based on the region and hours worked by an individual. Paramedic salary is also dependent on the job role one has. For example, an ambulance paramedic, a firefighter paramedic, and a flight paramedic are all different jobs with different salary figures. 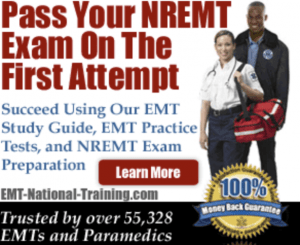 There are several variations of the EMT and paramedic job. Some in remote locations may work as a wilderness EMT, while a licensed paramedic may opt to return to school to participate in the Paramedic to RN bridge program, where students work towards becoming a Registered Nurse. All of these different jobs can affect paramedic pay. Before we get into any specific numbers when it comes to paramedic salary in AR, it’s best to cover a few important national statistics. According to the U.S. Bureau of Labor Statistics (BLS), EMTs and paramedics earn an annual average salary of $34,030. On Salary.com, that number is a bit higher for paramedics specifically, averaging out to $38,347. That salary figure equates to a monthly pay of $3,196, a weekly pay of $737, and an hourly wage of $18.44. When it comes to EMTs and paramedics in terms of employment levels, Ambulatory Health Care Services top the list with 110,330. Local Government comes after that with 69,290, followed by General Medicine and Surgical Hospitals with 38,180, Other Support Services with 1,640, and finally Offices of Physicians with 1,610. How Much Do Paramedics Earn in Arkansas? Using Salary.com as our guide, let’s see how the salaries for EMTs, paramedics, and flight paramedics compare in several largely populated cities in Arkansas. In Little Rock, Arkansas, an EMT makes $25,920 per year. Paramedics make an average of $32,899 in yearly salary. And a flight medic makes $35,199. In Fort Smith, an EMT makes $26,141 per year. Paramedics earn an average of $33,141. And a flight paramedic makes $35,459. In Fayetteville, an EMT earns $25,850 each year. Paramedic salary is estimated to be $32,772. And flight medics make $35,064 annually. In Springdale, similar to Fayetteville, EMTs make $25,850. Paramedics make roughly $32,772 each year. And flight medics earn $35.064. In Jonesboro, EMTs make about $27,041 annually. The median salary for paramedics is $34,283. And flight paramedics make $36,680 each year. In North Little Rock, similar to Little Rock, EMTs earn $25,950. Paramedics earn $32,899 annually. And flight medics pull in $35,199. And in Pine Bluff, EMTs make $26,490 annually. Paramedics make an average of $33,584 per year. And a flight medic makes $35,932. If you’re currently looking for a paramedic job in Arkansas, it’s recommended that you visit our job board. There, you can seek out hospitals and ambulatory services that are looking to hire, as well as get your resume out and in front of key decision-makers. Becoming a paramedic in Arkansas is not easy. And if we’re being honest, paramedics are not compensated as well as they should be. But if you’re concerned about whether the salary of a paramedic is enough to take care of yourself or your family, hopefully seeing the actual paramedic salary numbers (both locally and nationally) have helped to better inform your decision. Learn more about how to become a paramedic by visiting our homepage. In this article, we will show you several statistics pertaining to paramedic salary in Oklahoma.